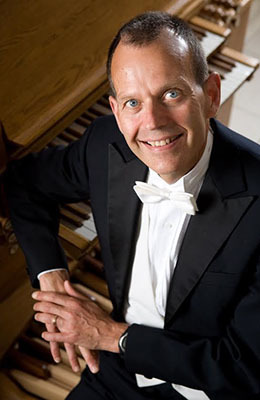 JAMES KIBBIE, Chair of the Organ Department at the University of Michigan, will be coming to Rochester to offer a concert at St. John the Evangelist Church on Sunday, November 22, 2015 at 4:00 pm. Dr. Kibbie maintains a full schedule of concert, recording, and festival engagements throughout North America and Europe, including appearances at the Cathedral of Notre Dame in Paris, Royal Festival Hall in London, Dvořak Hall in Prague, and Lincoln Center in New York. A frequent jury member of international organ competitions, he has himself been awarded the Grand Prix d'Interprétation atthe prestigious International Organ Competition of Chartres, France, and is also the only American to have won the International Organ Competition of the Prague Spring Festival in the former Czechoslovakia. James Kibbie's performances have been broadcast on radio and television in the USA, Canada, and Europe. His already well-known audio holiday cards recorded on the Létourneau organ at his home as free internet downloads are a popular annual tradition. He is an internationally renowned authority of the music of Johann Sebastian Bach, having performed the complete cycle of Bach’s organ works in a series of 18 recitals. The recordings of these pieces have been met with enthusiastic critical acclaim. His former students hold now key positions in college teaching and church music nationally. Dr. Kibbie is particularly proud of a perpetually endowed scholarship in his name at the University of Michigan to support students majoring in organ performance and church music. His recital will include works by J.S. Bach, Jehan Alain, Charles Tournemire and Jirí Ropek. Open to the public – free will offering. Jeremy Filsell is the artist-in-residence at the Washington National Cathedral, Washington, D.C. This is a free event sponsored by the chapter. All are welcome to attend! Jeremy Filsell is acknowledged as one of only a few virtuoso performers on both piano and organ. He has appeared as a solo pianist in Russia, Scandinavia, the USA, and throughout the UK. His concerto repertoire encompasses Mozart and Beethoven through to Shostakovich, John Ireland, and Rachmaninov (1st, 2nd and 3rd concertos). He has recorded the solo piano music of Herbert Howells, Bernard Stevens, Eugene Goossens, and Johann Eschmann for Guild. Recently released were discs of Rachmaninovs piano music for Signum and two of French Mélodies accompanying Michael Bundy (baritone) for Naxos. Jeremy Filsell has recorded for BBC Radio 3, USA, and Scandinavian radio networks in solo and concerto roles and his discography comprises more than 25 solo recordings. 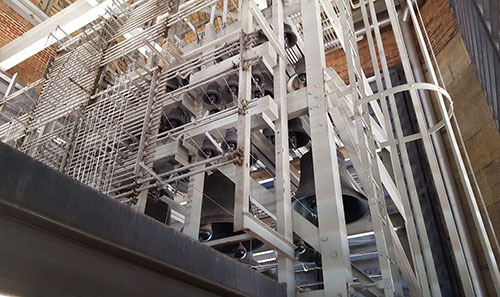 Gramophone magazine commented on the series of 12 CDs comprising the premiere recordings of Marcel Dupré’s complete organ works for Guild in 2000 that it was "one of the greatest achievements in organ recording." 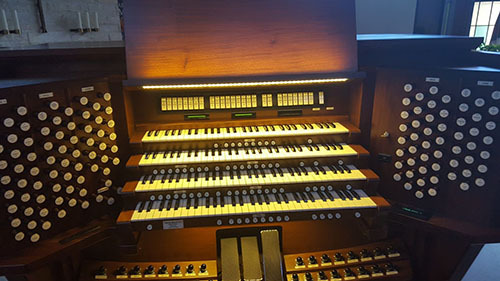 In 2005, Signum released a 3-disc set of the six organ symphonies of Louis Vierne, recorded on the 1890 Cavaillé-Coll organ in St. Ouen Rouen. This was BBC Radio 3's Disc of the Week in September of that year. He has taught at universities, summer schools, and conventions in both the UK and USA and has served twice on international organ competition juries. Recent solo recital engagements have taken him across the USA and UK and to Germany, France, Finland, and Norway. In North America, he concertizes under the auspices of Phillip Truckenbrod Concert Artists. 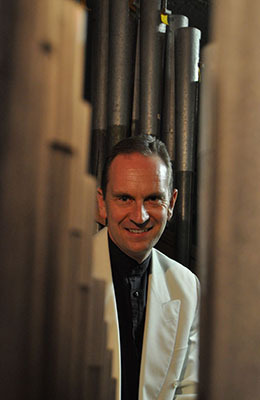 Jeremy Filsell studied as an organ scholar at Oxford University (Keble College) before completing graduate studies in piano performance at the Royal College of Music in London. He was awarded his PhD at Birmingham Conservatoire/BCU for research into aesthetic and interpretative issues in the music of Marcel Dupré. Before leaving the UK in 2008, he held lectureships at the Royal Academy of Music in London and the Royal Northern College of Music in Manchester and was a lay clerk in the Queen's choir at St. George's Windsor Castle. He currently serves as artist-in-residence at Washington National Cathedral, director of music at the Church of the Epiphany in downtown Washington, D.C., and is Professor of Organ at the Catholic University of America. 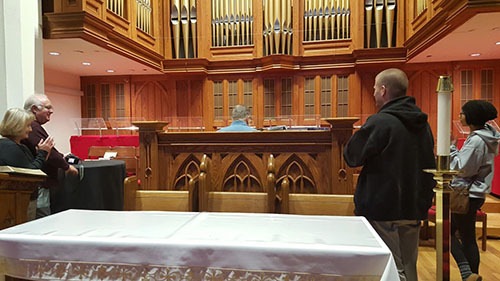 Following the Choral Evensong, members of the Southeast Minnesota American Guild of Organists are invited to a catered dinner ($15). With the dinner, at Calvary's Brackenridge Hall, there will be a presentation on national and chapter news. The Dinner Menu: Boneless Chicken Breast, Au Gratin Potatoes, Green Beans, Dinner Roll, Beverages and Dessert. Please RSVP for the dinner before September 30 to Jon Nienow at jcnienow@hotmail.com or Matt Lehman at lehman.mlr@gmail.com or 507-251-1698. 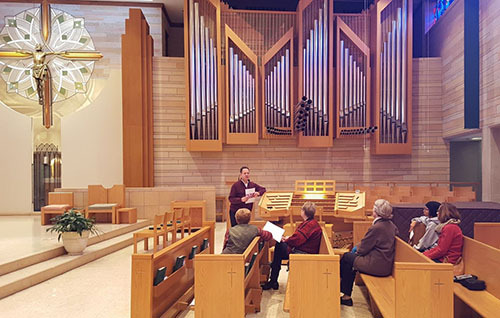 We are trilled that the Riverland Chapter of the AGO (LaCrosse, WI area) is able to join us, the Southeast Minnesota Chapter of the AGO, for a downtown organ crawl in Rochester. All stops are within five to six blocks of each other. Downtown parking is free on Saturdays. Here's a photo from a chapter event in 1983 at Mabel, Minnesota. Help us identify all the members. Email Matt or Jeff. The Chapel at Holy Cross Seminary (Kilgen). A delicious lunch was enjoyed by all in the cafeteria of the Shrine of Our Lady of Guadalupe. Bravo! Bravo! To the Scholarship Winners, we shout, “Bravo!” Ten young men and women treated the audience of family, friends, and chapter members to an astounding recital. 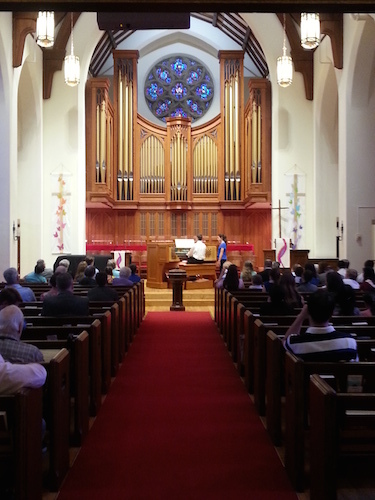 Showcased were pieces by Bach, Vierne, Langlais, Hampton, Buxtehude, Karg-Elert, Burkhardt, and many others. Each student demonstrated his or her hard work of practice and mastery of “the king of instrument”. Applause of thanks greeted each recitalist as the last note concluded of their final selection. Two students will be graduating from high school. We bid them a fond-farewell and best wishes as they head-off to college in the fall. The remaining eight scholarship students will continue their studies with our incredibly talented teachers, Lee J. Afdahl, Andrew R. Galuska and Brian A. Williams. Before the recital, Nancy Wales, the Scholarship Committee Chair, recognized Rev. Robert E. Scoggin for his diligent dedication as a former tenured teacher. 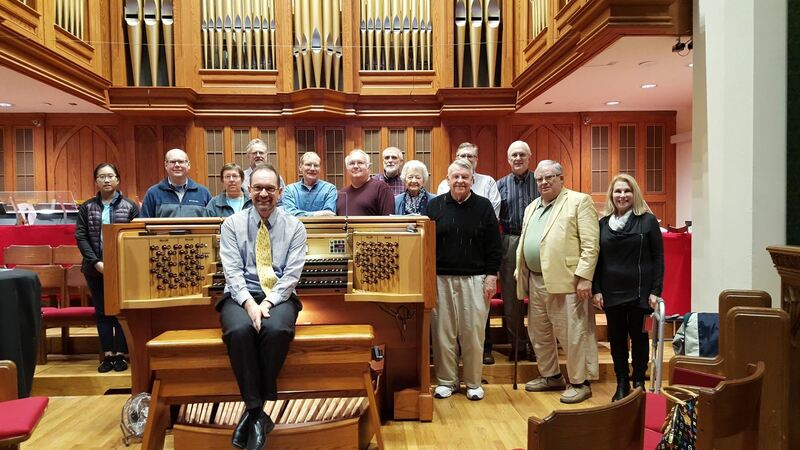 Thank you for supporting the Students Scholarship Program as funded by the J. Isabelle Dyck Fund of the Rochester Area Foundation and facilitated by the Southeast Minnesota Chapter of the American Guild of Organists. Scholarship Committee: Nancy Wales, chair, Lee J. Afdahl, Rosalie Alcoser, Dr. Peter Dyck, Andrew R. Galuska, Rev. Robert E. Scoggin, and Brian A. Williams. Jonathan Beardall in recital at First Presbyterian Church, Rochester, MN. Ten Scholarship Winners treated the audience to some marvelous organ music. 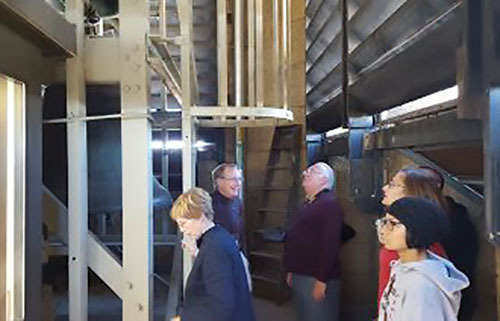 On April 18, 2015, twenty-four individuals attended the masterclass for Southeast Minnesota chapter’s scholarship students. 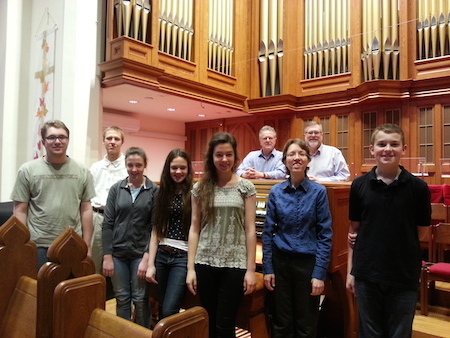 Isabelle Demers, Professor and Head of the Organ Program at Baylor University, Waco, Texas, was our guest instructor. Four enthusiastic students had the opportunity to play a piece for Professor Demers. The selections played by the students were: Toccata in B Minor by Eugène Gigout, Antiphon from First Suite by Calvin Hampton, Prelude in A Minor, BWV 543 by J. S. Bach, and Epitaphe (24 Pièces en style libre, Op. 31) by Louis Vierne. She was kind, encouraging and insightful in her instruction. As a chapter, we are grateful to Professor Demers for this instructional time with these students. A special thanks to the J. Isabelle Dyck Fund of the Rochester Area Foundation facilitated by the Southeast Minnesota Chapter of the American Guild of Organists for supporting these chapter students. With deserved respect, we thank our dedicated instructors, Lee J. Afdahl, Andrew Galuska and Brian Williams, for their fine work with these students. Finally, in gratitude we thank Lee J. Afdahl and First Presbyterian Church, Rochester, MN for hosting this chapter event. 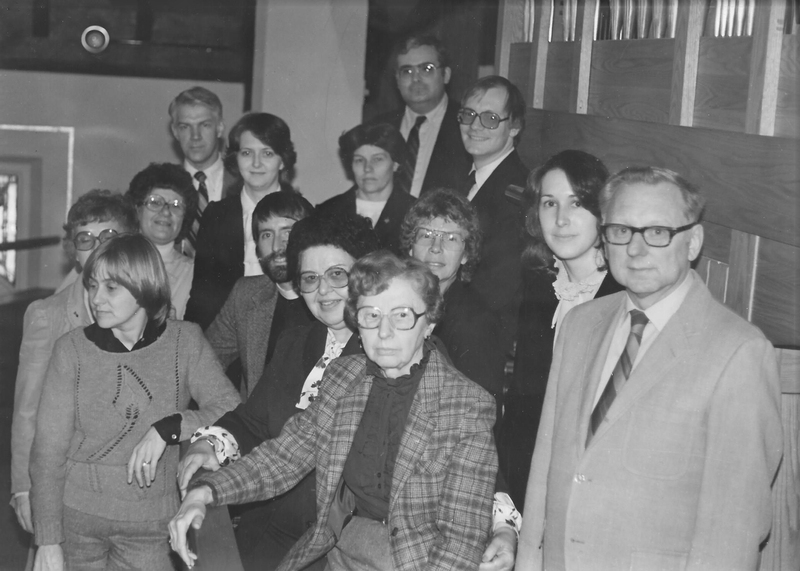 From left (front row) Andrew DeZiel, Jonathan Beardall, Hope Giesen, Maria Kramer, Teresa Kramer, Professor Isabelle Demers, Grant Natzke (students). (back row) Lee J. Afdahl and Brian Williams (teachers). (Not pictured) Annie Sun (student) and Andrew Galuska (teacher). A freewill offering will be taken in support of our concert series. The class will focus upon accompanying and leading congregational singing. Dr. Jan Kraybill will be the masterclass instructor. 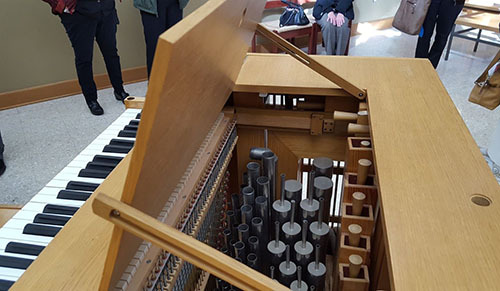 She will address a wide variety of styles included in many congregational settings demands that we adapt our organ techniques. 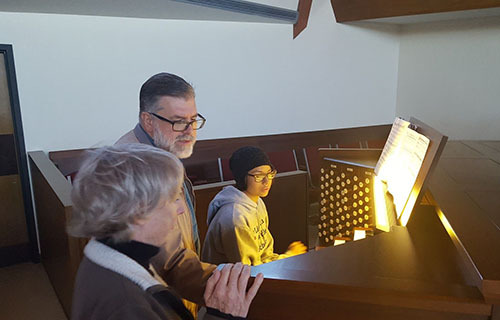 The class begins with a discussion of effective techniques for hymn playing, and expands to include a variety of nontraditional and global styles. Group lunch following the morning event.